The Hobbit – From the end of bag. 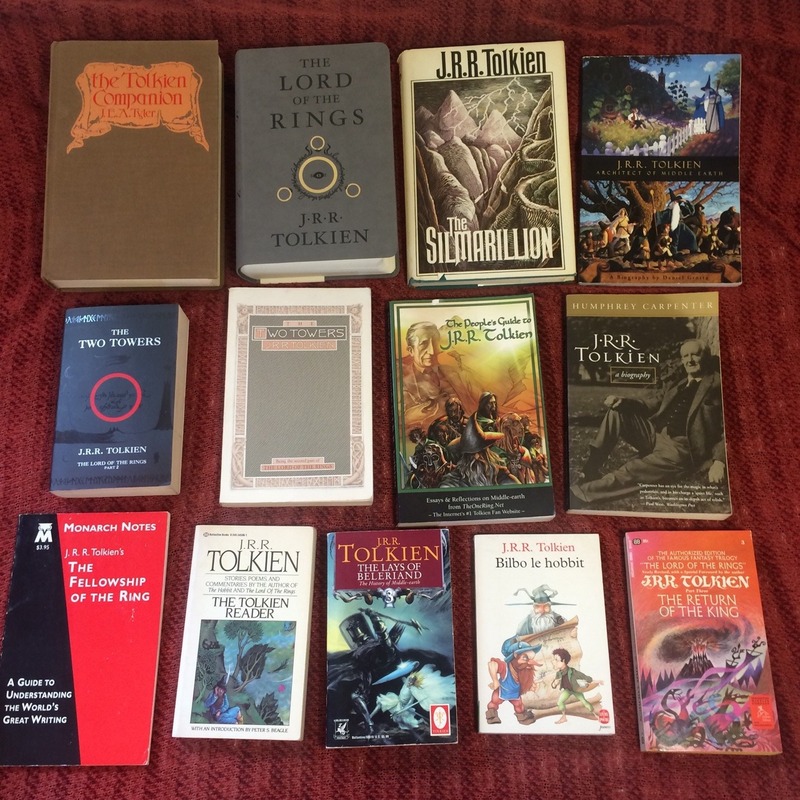 July, August and September were pretty good to my Tolkien Collection! 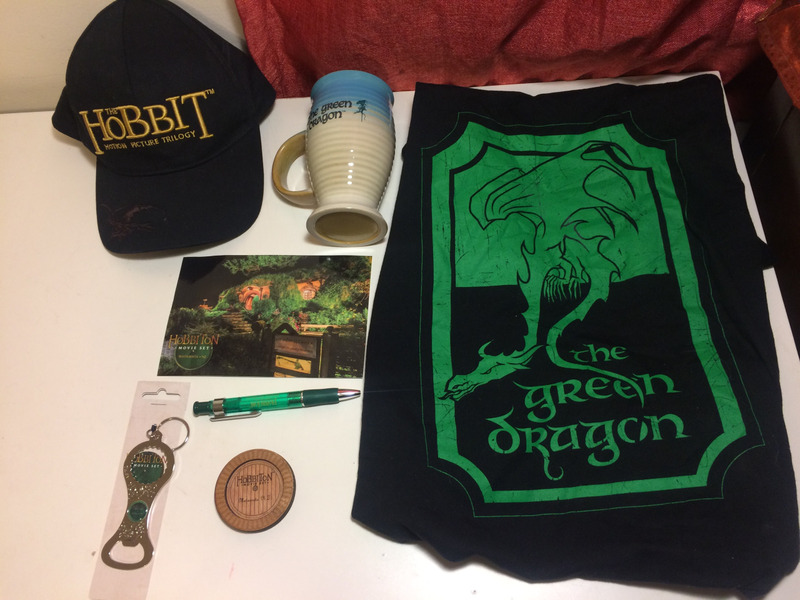 Got a nice mix of items, from books to a Gollum hat. Here’s my first batch of books. Bought that copy of The Tolkien Companion by J.E.A. Taylor at a book sale over the summer, I want to say it was $2? Too bad there dust jacket is missing. I had a difficult time finding the ISBN, but inside it says PR6039.032Z49 1976 828′.9’1209 76-5203. I guess that’s it? I bought the grey copy of The Lord of the Rings (ISBN 978-0-544-27344-3) at Strand for $9 which was like winning the lottery because the original list price is $30 (NYC book shops usually aren’t that cheap). My collection grew quite a bit over the last three months, much more than I expected. Let’s get into it! 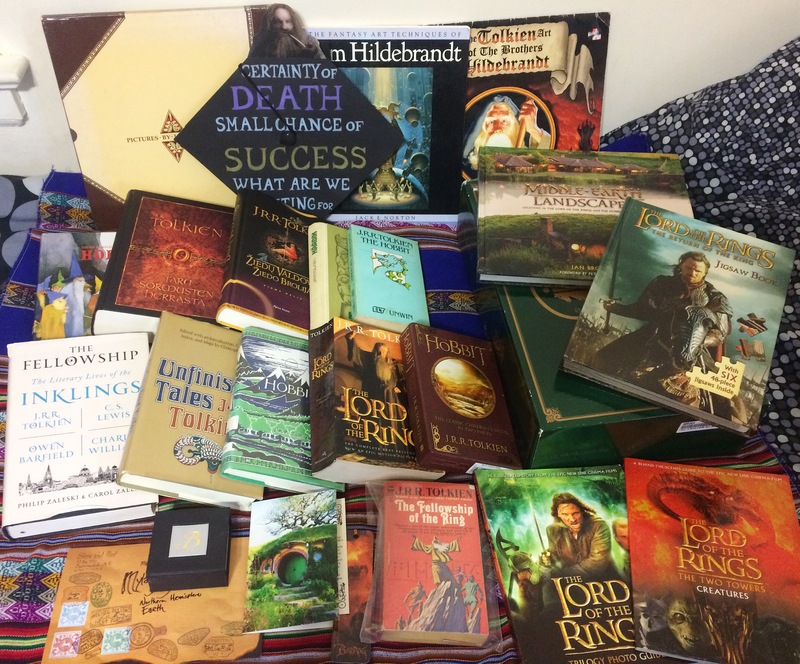 Back in April I posted an article on Middle-earth News about our Tolkien Collection Photo Challenge. 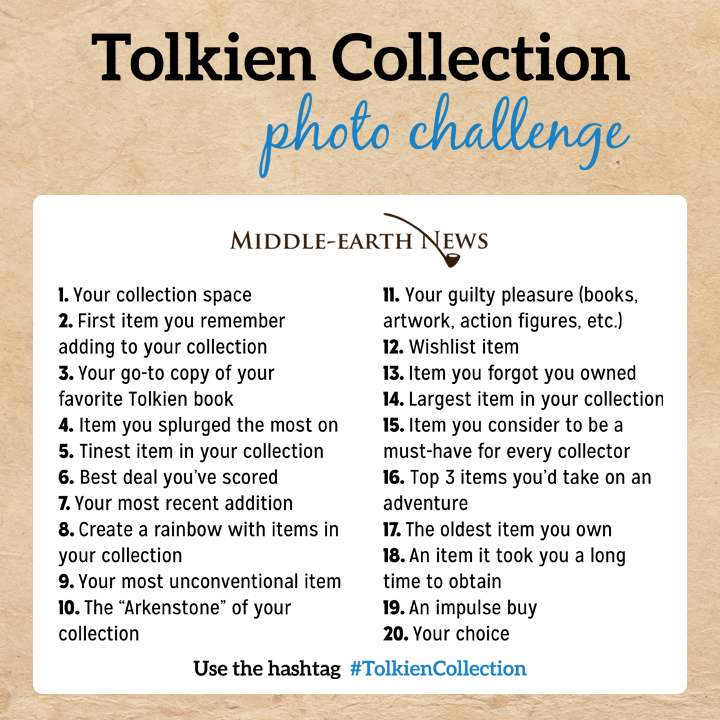 I created the challenge because I wanted to give people an incentive to post more of their collections. 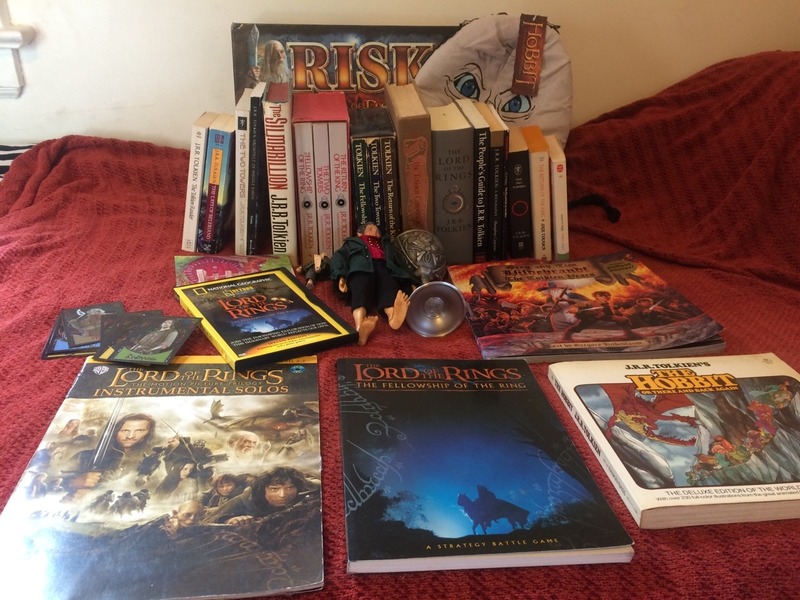 It doesn’t matter what you own or how much you own, it’s all about Tolkien love! I would always silently complain over the lack of posts for that hashtag because I wanted to see some pretty photos of books and movie merch! But since the challenge went live people have been using the tag a lot! I finished it a while ago, you can find the photos on my Instagram or you can just keep scrolling down because I put them here too. My collection takes up one wall in my bedroom, and my room isn’t really big so it takes up a lot of space haha. 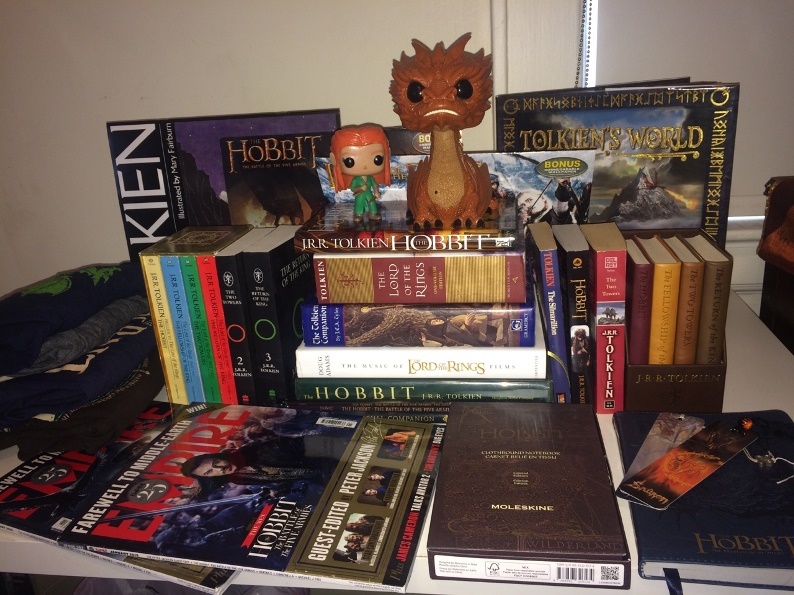 I have three bookcases, the first is dedicated to books by Tolkien, the second is a little more diverse. 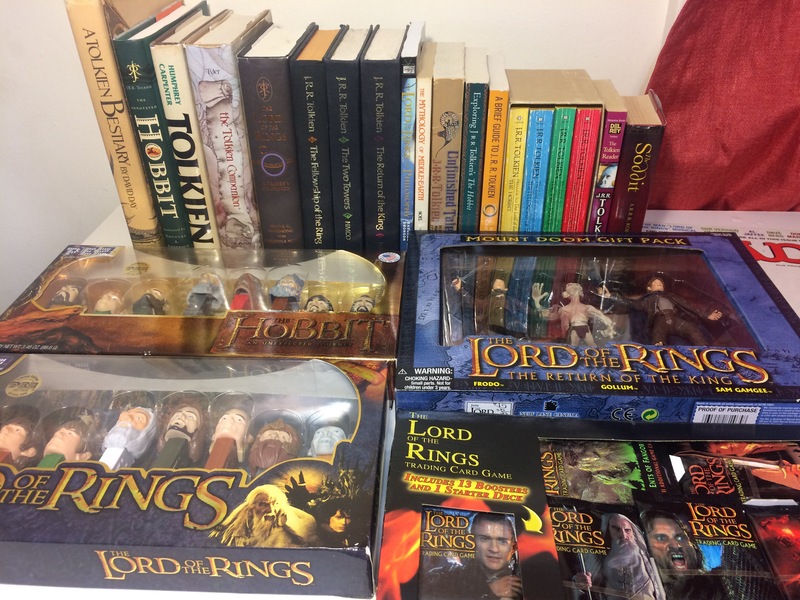 It has my action figures, calendars, other misc movie merch, unfinished LOTR sets and on the bottom are books by other authors. The third has my magazines, film books, more misc items and board games. This definitely isn’t the first item I added to my collection but it’s the first one I remember picking out myself. I went to a bookstore with my mom and basically begged her to get this for me and I remember bringing it with me to school the next day and thinking I was SO cool. I always go back to reading from this book, it’s the one you always find in used bookstores haha. This is my “reading copy” of LOTR which means I allow myself to write/highlight in it. This is my Gollum battle scale figure I got from a family friend many years ago. I always forget I own it! I keep it in its original box because if I didn’t I am pretty sure I’d lose it, haha. I think one of my best deals was my Treebeard action figure. I got it a couple years ago at NYCC for $30 and I think that’s good because if you look it up online, people are selling it for pretty outrageous prices! I mean, $30 is still a good chunck of change, but it was my splurge item at the convention. At first I wanted to keep it inside the original packaging but in the end I decided to take it out. I got these editions of The Hobbit and FOTR from my mom because she went on a trip to Croatia recently. It’s going to kill me that I will probably never finish this set of LOTR haha. This was fun haha I tried to do this without using all books which was slightly difficult. Definitely this Pringles container which I’m pretty sure I’ve posted about multiple times before, haha. My silver One Ring replica from Jens Hansen is definitely one of my most cherished items EVER. I was lucky enough to win it in a giveaway a few years ago. I’m always too nervous to wear it out because I’m convinced I’d lose it! Like everyone else, I don’t really feel guilty about anything in my collection, but I am a huge sucker for LOTR with movie covers. There are A LOT of stuff I wish I had and one of them is a replica of Bilbo’s contract. 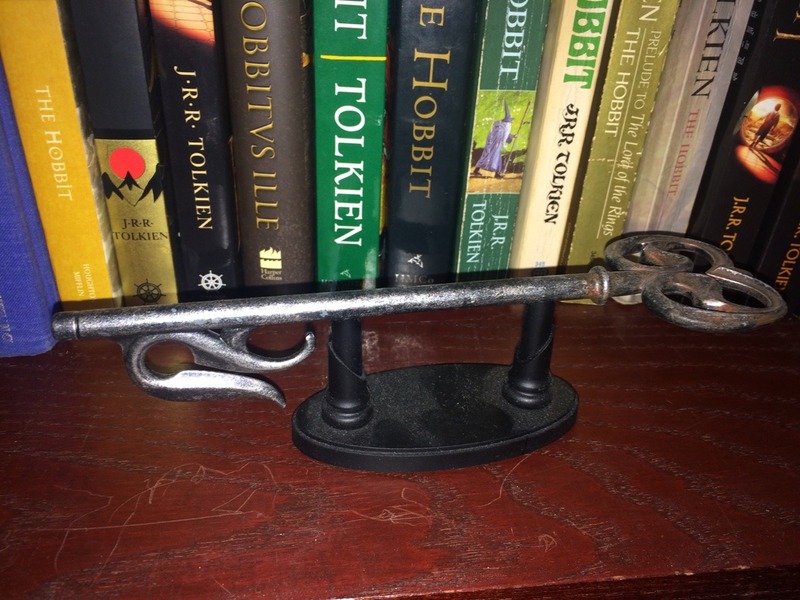 The photo shows the one I have but what I’m talking about is the legit replica from Weta, the one that costs like $450. I always forget I have this. I don’t even remember when I added this to my collection and I don’t even remember the last time I listened to it. I should change that soon! Every person’s collection and interests are different and it is wonderful to see all the diversity! But the one item I would definitely recommend to everyone is a one-volume LOTR. But remember, it’s your collection so collect what you want to collect! 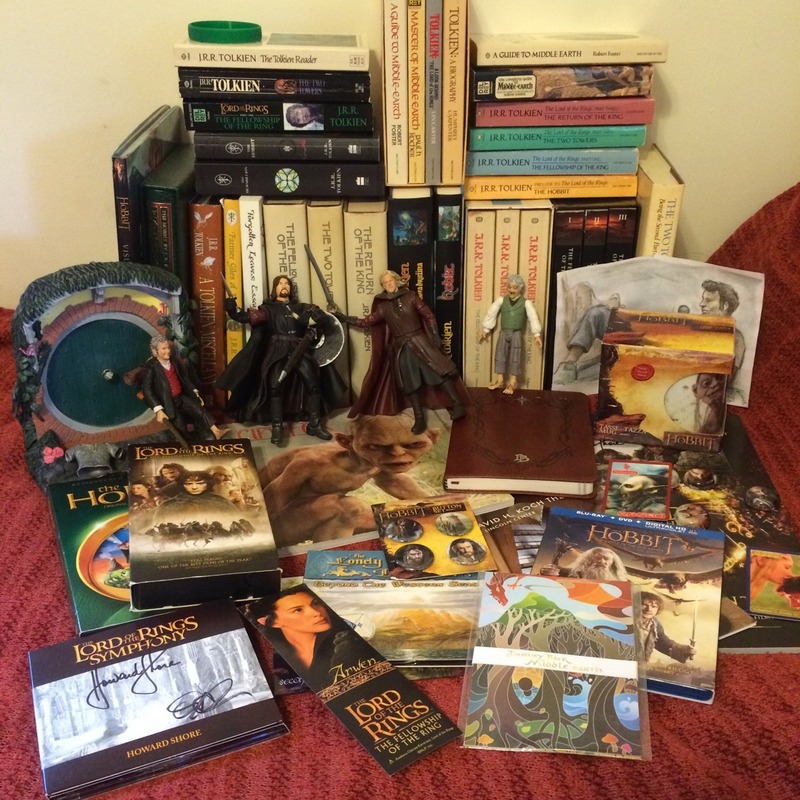 I would of course take a nice pretty and small set of The Hobbit/LOTR (it counts as one!! ), a journal to write down all of my adventures and my Frodo plush because it’s adorable. Btw I’m completely obsessed with that journal, makes me feel like Bilbo. Technically I think my oldest item is my first U.S. edition set of LOTR which I used for day 4, so today I’ll go with these copies of TTT. One is hardcover and one is paperback. I’m not near them now but I think they came out in the 60s? 70s? I could be wrong. Some time last year (I think) I was in Barnes & Noble and I was browsing The Hobbit section and felt like I really wanted to buy something, haha. So I picked up the location guidebook by #IanBrodie, it costs $20 and it was on my Amazon Wishlist and I thought, “okay I should probably support actual book stores more.” I really love this book but have only read a few pages so far, I’m going to have to read more soon! 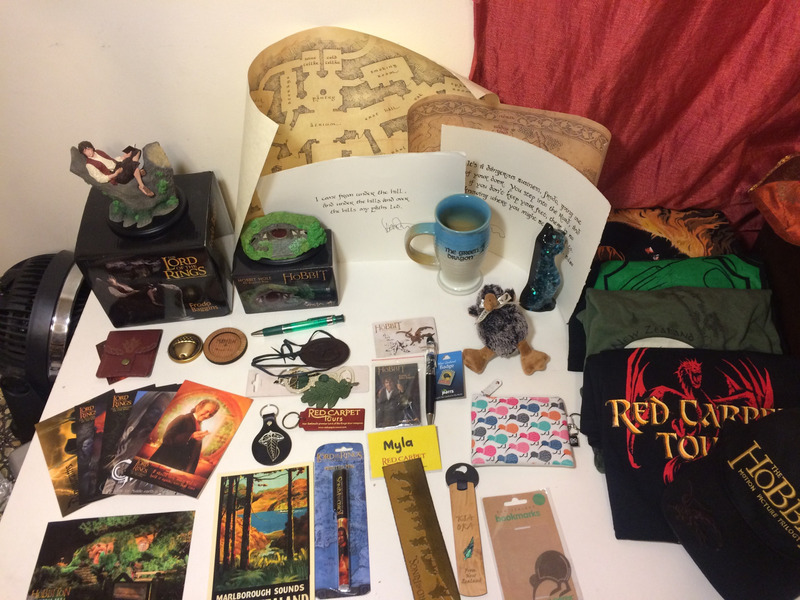 I chose to show a bunch of stuff that were given to me from friends. They’re good people. Today I realized that my birthday is actually not that far away – my birthday is on April 30. 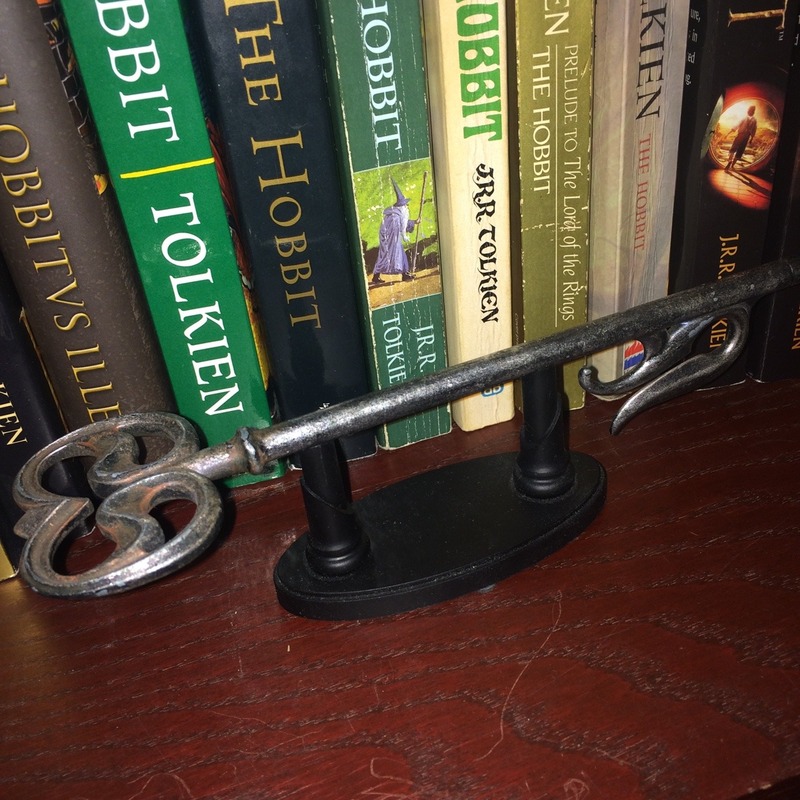 As many people do, I started to think about what gifts I would like to receive (they’re all Tolkien-related, no one is surprised). Obviously I don’t expect to get everything listed here, but it’s nice to daydream, right?